The story of Martel Bakery Mix began in 1962 when a gentleman named Joe Imbs opened a new location for "The Shiloh Company" at 4136 Martel Road in Caledonia Ohio. At that time, the facility now known as Mennel Bakery Mix and Foodservice -- Martel featured two production lines for bakery dry mix manufacturing. Over the years, the modern facility and it's capabilities became well-known in the industry. It was purchased by ConAgra in 1970 and subsequently sold to The Pillsbury Company in 1975. General Mills, Inc. acquired the Martel facility in 2001 before selling to The Mennel Milling Company in 2016. 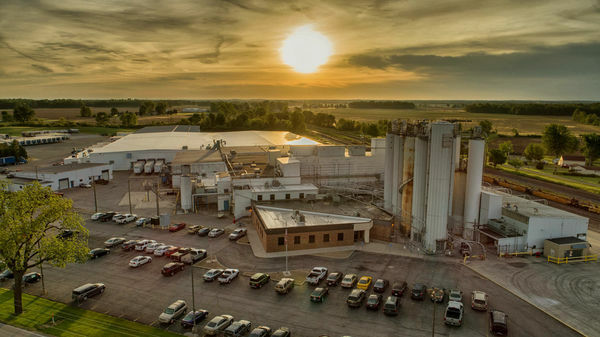 Mennel, a more than 130-year-old family-owned and operated company based in Fostoria, Ohio, had been a supplier to General Mills' Martel facility for over 40 years. "This is an exciting opportunity for Mennel to extend our services into the bakery mix and foodservice industry. It allows us [Mennel] to continue to add value to our wheat flour and expand our product offerings to better serve our customers," said Ford Mennel, Fifth-Generation President of Mennel, at the time of the 2016 acquisition. Today, the Martel team operates the largest capacity dry mix plant in North America with more than 10 production lines for box packaging. In 2017, Kevin Coy joined the Mennel team as Plant Manager of the Martel facility. To learn more about Mennel Bakery Mix and Foodservice -- Martel, click here.